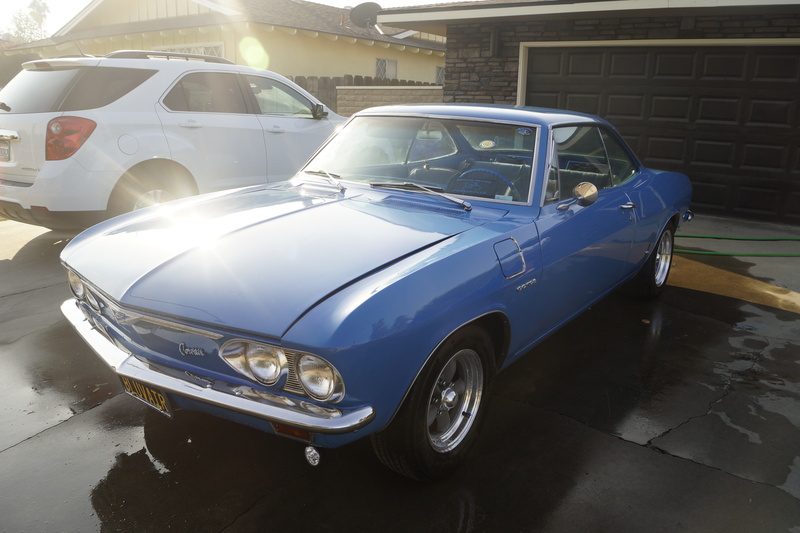 What did you WORK ON / DO....to your Corvair today? 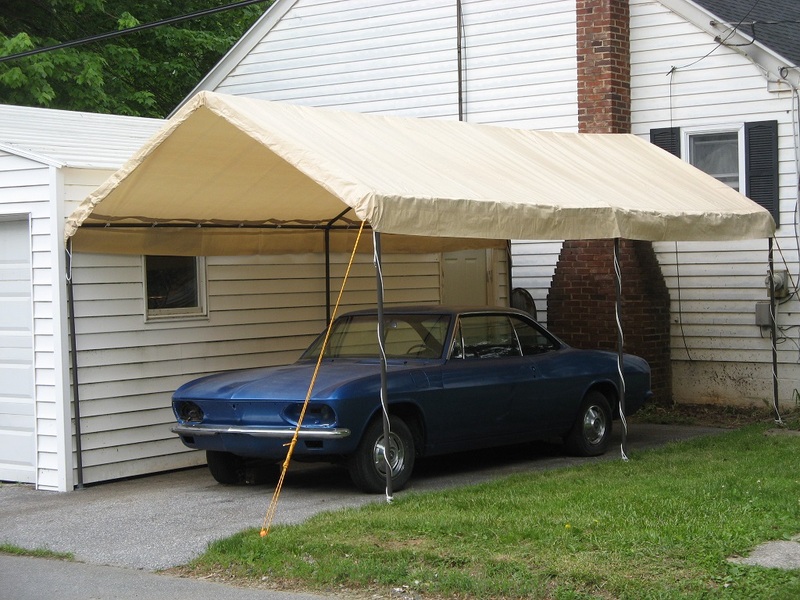 Re: What did you do to your Corvair today? Made the adjustment to the trans pivot accelerator linkage. It's a bit better, but not all the way to dropping to a consistent idle of 900 or so. With all the mixing and matching I went through trying to troubleshoot my driveability issue I may have a tiny bit sticky primary carb. More troubleshooting to come. Only other minor issue I have is I need to clean and lubricate my speedometer cable and hope that's all it needs. It's a bit jittery, not bad yet. I did drive it to work today, got a couple thumbs up.. Ordered a new speedometer cable, and the little bolts for the back of the hub. I drove to work today and met some air cooled friends! That 911 belongs to the CEO of of the company I work for and it is a really nice little hot rod! Edited 1 time(s). Last edit at 05/01/2018 06:44AM by Kyle_in_Mich. I drove mine to work yesterday. 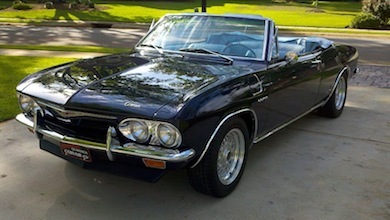 A gentleman in a Boxster S stopped me and loved the Corvair. He remembered them new and wished GM had never stopped. CAN THIS THREAD BE RETURNED TO BEING A STICKY? I think it is time to make this a sticky again! Five years should be long enough for a thread. Edited 1 time(s). Last edit at 05/01/2018 04:51PM by Ed Dowds. Re: CAN THIS THREAD BE RETURNED TO BEING A STICKY? > I think it is time to make this a sticky again! > Five years should be long enough for a thread. Time has nothing to do with it being a stickie..it's interest! Installed a set of John Sweets Viton accelerator pump cups in my sisters car. Last time you'll that job on those carbs! Light was getting low by the time I got a picture, but got my white '64 vert out and gave it a good wash. 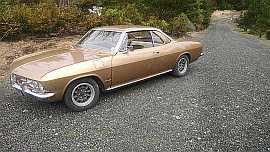 The other day it got a pair of CA Corvairs metal vacuum pull offs and a set of locks for the mag wheels. 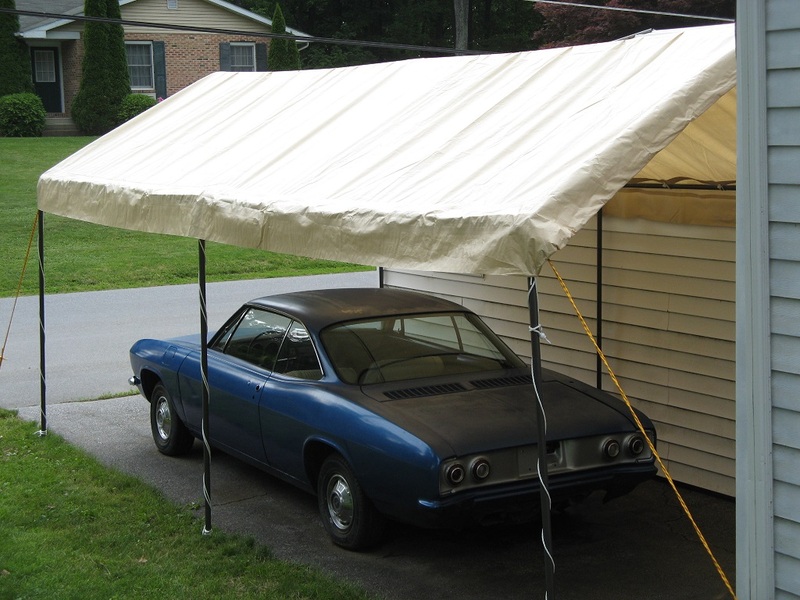 Well after sitting for quite a while without any forward progress I uncovered the Corvair, cleaned the driveway area, set up a shelter and began preparation for progress. 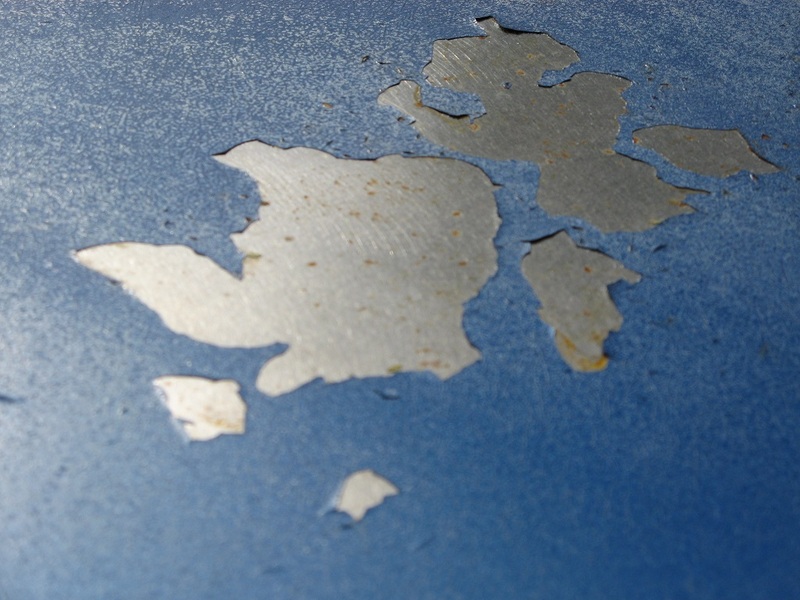 Unfortunately I did discover some damage to the 30+ year old Lacquer Paint when the cover came off. I did clean the surface and shot some clear Lacquer on the bare spots to offer some protection from the elements. 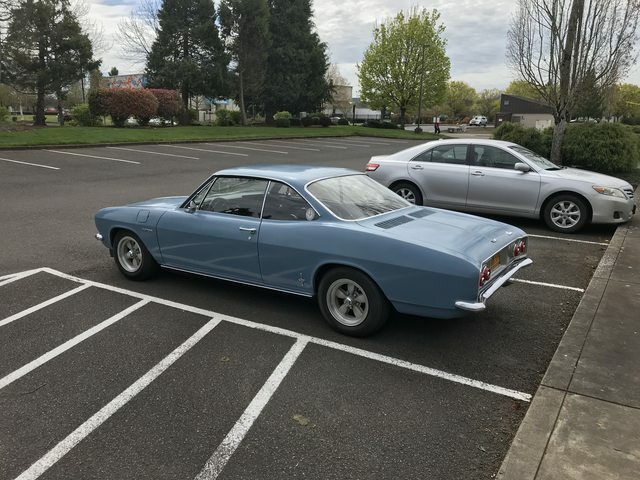 It is my hope to get this car on the road by the end of June and have a couple of weeks to sort it enough to be comfortable driving it to the convention in July. After I get the car up in the air and pull the power pack, it will get new seals and gaskets as needed. I am praying the motor won't need gone through as it should have good internal components. About five years ago I changed the oil and squirted some lubrication in the cylinders then rotated it by hand a few times before letting it continue to sit. I will again pull the plugs, squirt more lubricant in the cylinders, rotate the engine by hand before putting it back in the car I plan on splitting the transaxle to replace the bell housing seal, check the clutch, install a new pilot bushing, throw out bearing, differential seals, gear oil etc... before putting it back in the car. 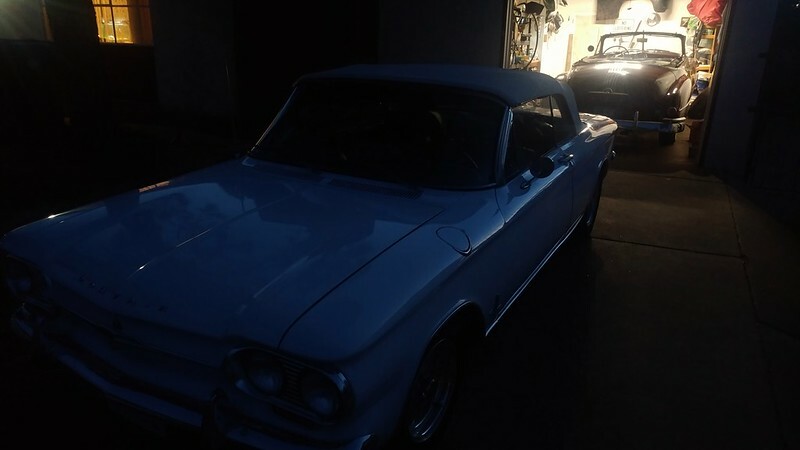 For Brakes I have complete brakes to install, lines, hoses, drums, wheel cylinders, shoes, hardware and hold down kits, and a dual master cylinder conversion. 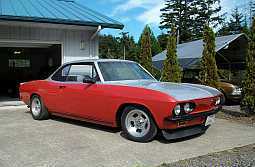 For fuel I have a NOS Gas Tank, new pick up, new fuel lines, rebuilt carbs. Other items include a complete reproduction wiring harness, new carpet, door panels, headliner, arm rests, door handles, motor & transmission mounts, rear strut rods, shocks, bumpers, weatherstrips, fuzzies, high volume heater blower motor, heater hoses, shifter bushings, and more. Eventually I will install the Telescopic Column & rebuilt steering box, get the car painted, and drive the wheels off of it with a little luck. Yes I realize getting a car that has been sitting for 30 plus years running and dependable in very such a short time is going to be quite an ambitious feat, but I am going to give it a shot. 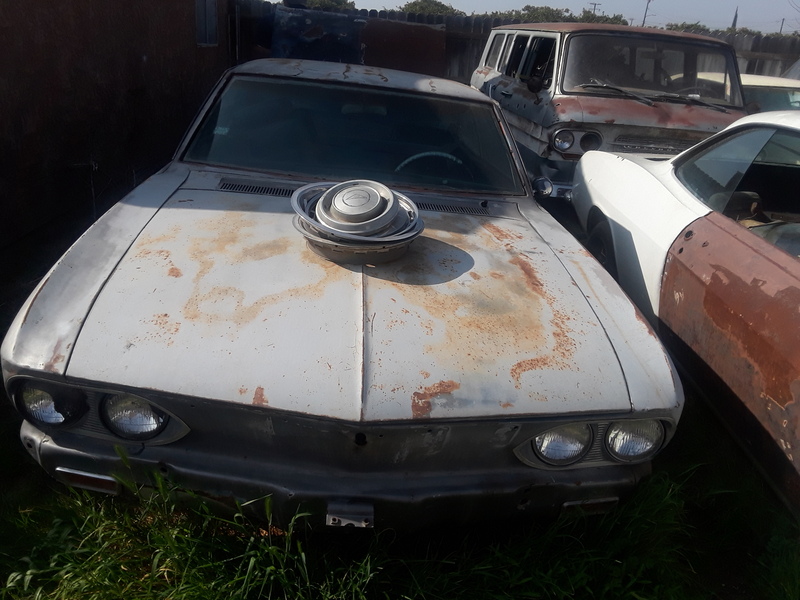 If I don't get it dependable, I'll suffer the consequences and drive my Ford or Plymouth and park it with all the other non Corvairs. Edited 1 time(s). Last edit at 05/26/2018 04:14PM by Caraholic4life. today I changed out my break in oil for the "good stuff"
Got the brakes working somewhat in my 65 with 4-wheel disc conversion. Plan to put it on the ground today and try to drive it a bit. Race coming next Friday so race prep all week. 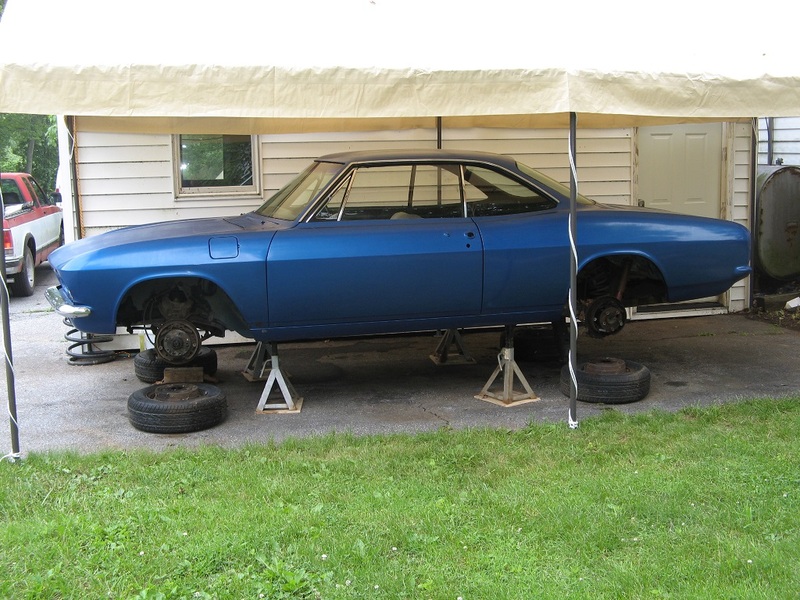 After work on this fine Memorial Day Monday, I put the car up on jack stands (Note the plywood under them to prevent sinking into driveway) and removed the wheels and brake drums. Once up, I went ahead and sprayed as many nuts and bolts as I could think of so they can soak overnight or longer if necessary as related to shocks, suspension, powerpack, and fuel system. 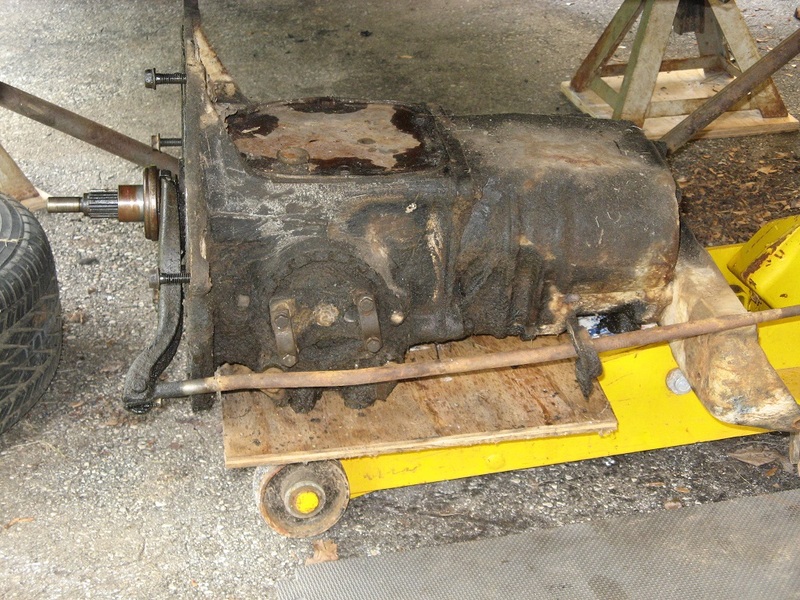 Tomorrow weather and inclination providing, I plan on maybe removing the gas tank or work on readying the powerpack for removal. 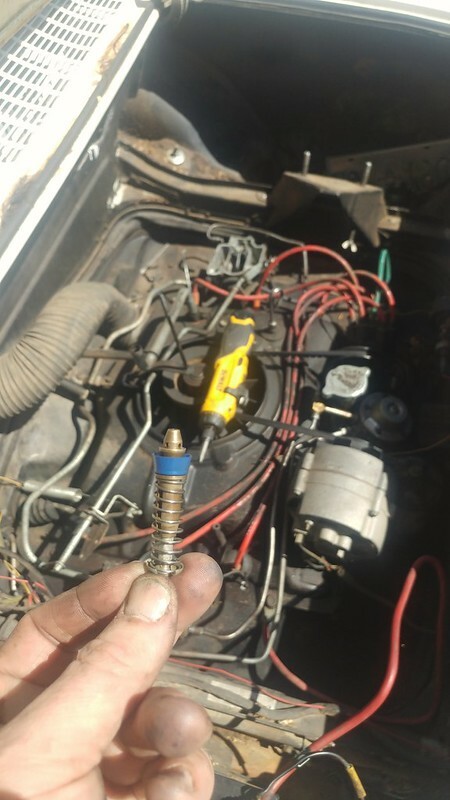 Sunday I pulled the plugs, squirted a little WD-40 in to insure there was something slippery in the cylinders and rotated the engine. 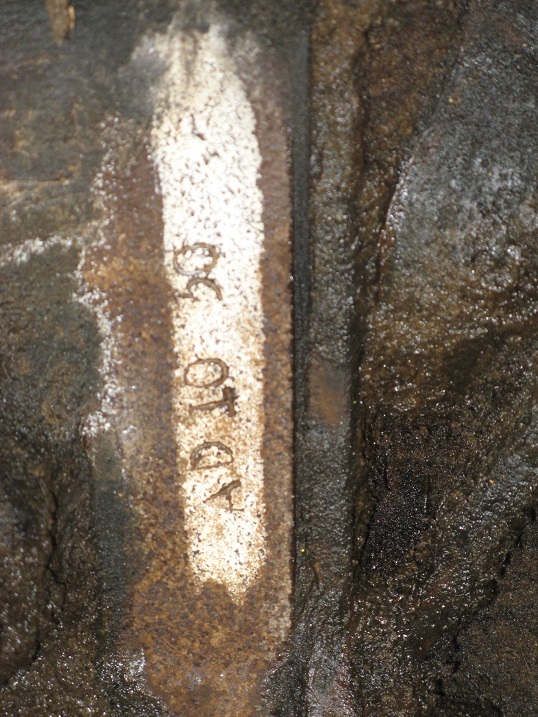 I looked at all six pistons to confirm they were the forged variety that I expected them to be. When done and the plugs were back in, I confirmed the engine still has enough compression to keep me from turning it over easily. Edited 1 time(s). Last edit at 05/28/2018 04:28PM by Caraholic4life. One step at a time!! Unfortunate the paint took a licking while under cover. Looks nice from that side shot. Got underneath and Gorilla-taped the ducts. 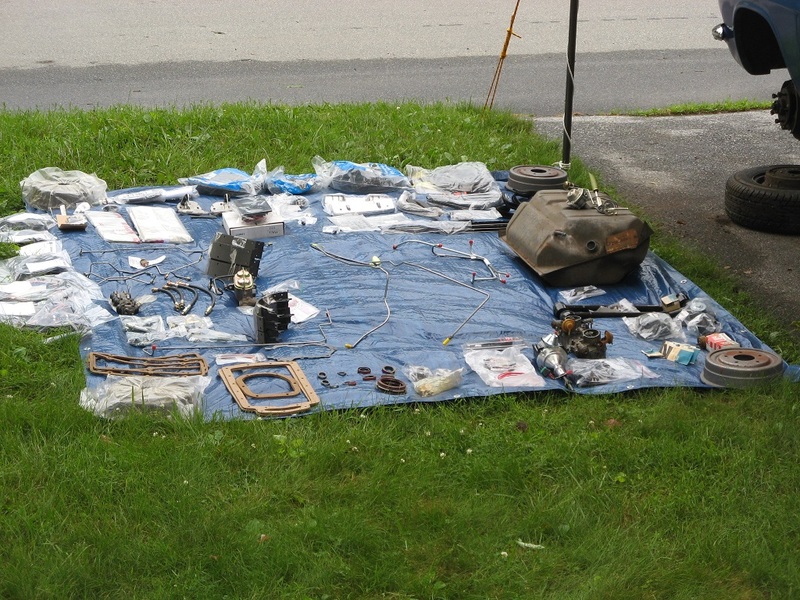 Well today I started to set out some of the parts I have purchased for the car so I could have a record of it for later but it started to sprinkle before I got everything set out. I took a photo of what I had set out and quickly cleaned it up. 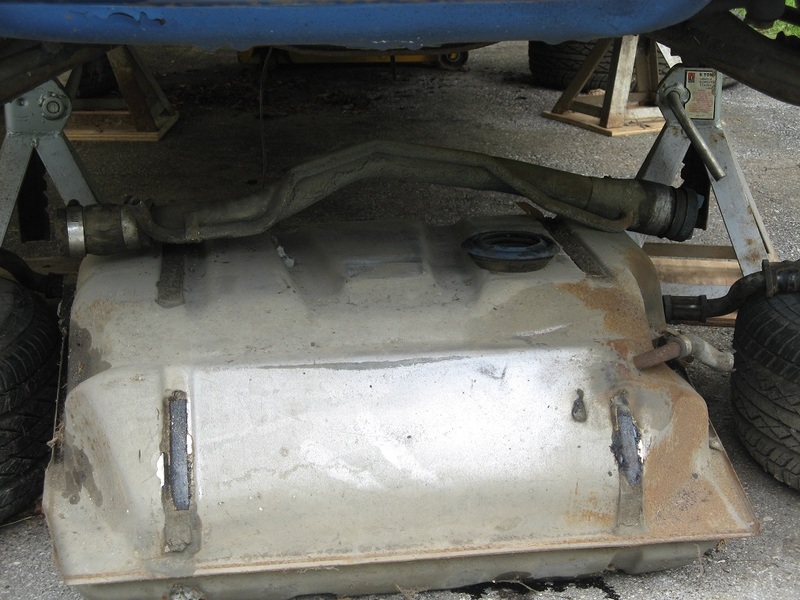 By that time it stopped so I went ahead and pulled the gas tank and the powerpack. 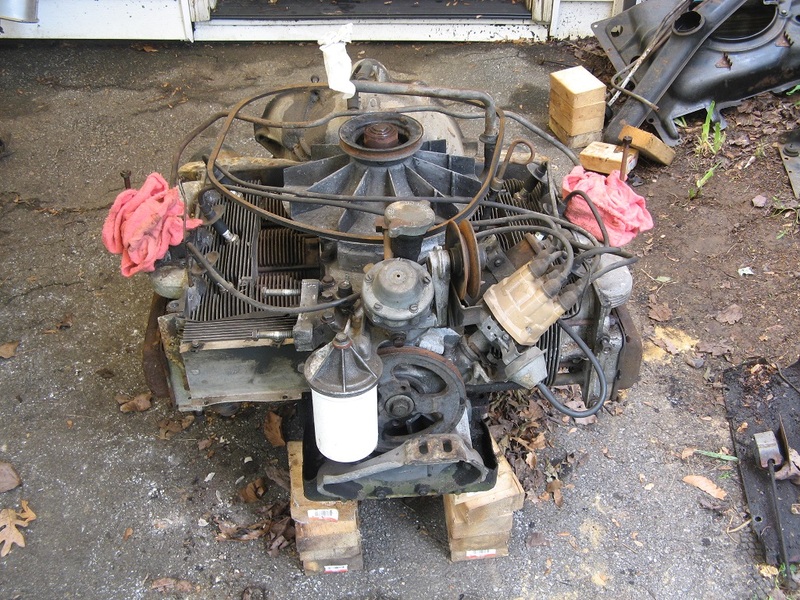 I split the powerpack, removed some of the shrouds, and confirmed the transaxle is the AD (355 Positraction) unit I expected it to be. I am now filthy and going to get a shower. Maybe tomorrow, I will make additional progress. 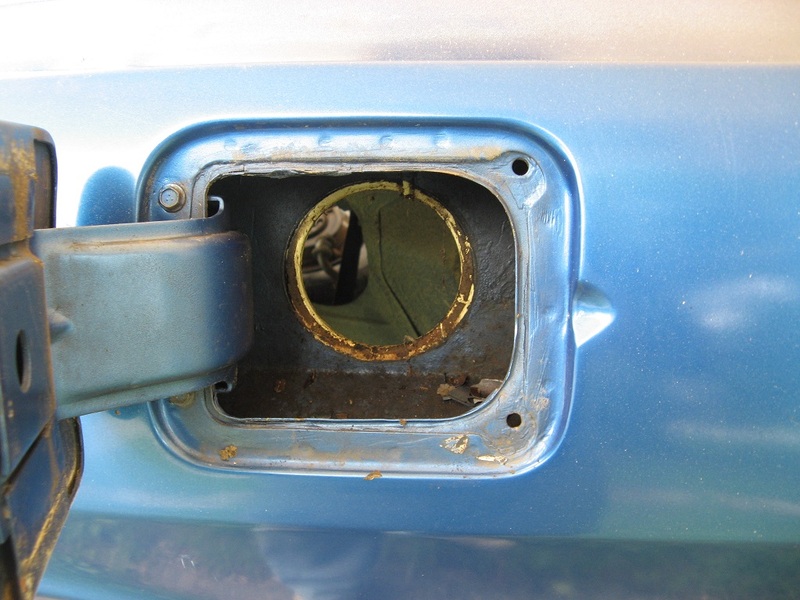 You can see that the rubber gromet around the filler neck wasn't removed when the car went from it's original Yellow to the current Blue. Went to our Cars and Coffee this morning as well as a local cruise in at the Fastenal distributor. Love 2 close events in one day!